Gaming in the 80s and 90s was still relatively new at least when it came to normal folk and as such employees didn’t necessarily know how to sell or inform costumers. In order to train employees in the 80s they used to send VHS tapes to make it easier since even the owners or managers of the store didn’t necessarily know much about all the products they sold. Thankfully many of these Nintendo training videos have surfaced online and they’re really something. 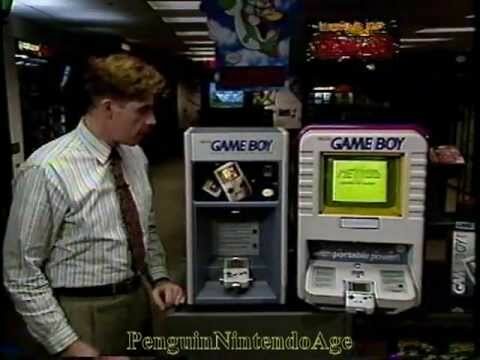 We begin with this short video from 1989 that is telling the retailers why Nintendo is an important company and why they should care to be ordering their product. It mostly tells about the World of Nintendo campaign which I remember and was simply awesome since you felt like you were going into this video gaming section that was all about the stuff that you liked. Display Jake who appears in quite a few of these videos explains in an instructional video how to set up the different Nintendo demo booths and Nintendo interactive retail store displays for the NES, SNES and Game Boy. Display Jake likes the volume set REALLY high and REAL loud. Display Jake really is a hero. This next one is just hilarious and amazing and it tries to teach retail employees how to deal with returns and refunds on Nintendo products when returning technology was still a new thing and there weren’t as many restrictions since they didn’t understand it. I absolutely love all the stereotypes that they have here. Nintendo trying to train the different Demonstrators of their products in the early 90s in this 1 hour video. They basically go over every single detail of all the products that they have and how to deal with costumers. You can tell video games are still rather new since this video had to be made but it’s an interesting little time capsule to have. Here we have a dude totally rad for the 90s and trying too hard to be kewl which works, it’s also for employment training which includes a quick history of Nintendo, teases the Nintendo 64 and tells you how to handle constumers and all the cool stuff you can get for helping out. This is all done in only a ten minute video which is a huge improvement over the previous ones. This one is from 1997 and it’s great for two reasons, you get to see some of the marketing stuff Nintendo sent out, how it was set up but also see how the old video game store Babbages looked like back in the late 90s and it really brings you back to how things used to be. For more nintendo articles click our archive. If you enjoyed the article or have any thoughts let me know by commenting below or by tweeting at me. You can also share the article or hit me up an email with your thoughts, it’s nice to hear from other fans.